Cancer. It’s a six letter word that when uttered, is able to strike fear into the hearts of any pet owner. What’s worse is the terrifying statistic behind it. Cancer is the number one natural cause of death in both senior dogs and cats, accounting for nearly 50% of pet deaths each year. Why is this happening? For one, pets are living longer. Therefore, they are getting old enough to develop age-related diseases. But what is the cause of cancer? The true cause of cancer, just like in humans, is difficult to quantify. However, we do know that certain breeds are more predisposed to cancer than others. Also, one study suggests that female dogs are more likely to develop cancer than their male counterparts. Things may seem bleak, but there is good news. Even though cancer is the leading cause of death in senior dogs, it’s become one of the most treatable diseases. When compared to CHF (Congestive Heart Failure) or renal failure, the prognosis can be very favorable. Pet cancer is fought very similarly to human cancer. Surgery, chemotherapy and radiation are some of the more common forms of treatment. However, in addition to these methods, there are also other natural steps one can take to help our pets beat this disease. With the help of a canine nutritionist or holistic veterinarian you can come up with the correct diet for your four legged companion. Many oncologists and conventional veterinarians underestimate the power of a good nutrition when fighting cancer. Consider the fact that many dogs with cancer suffer from cachexia. Which is a metabolic condition that gives way to weight loss, loss of appetite, fatigue, and impaired immune function. Cachexia operates in three phases, the first phase is the start of the biochemical changes within the dog’s body. In the second phase physical symptoms manifest such as weight loss and anorexia. In the final phase, the dog becomes debilitated with lethargy, due to a severe loss of body fat and muscle mass. In certain cases, cachexia is actually what causes death among pets, not the cancer. Because cachexia changes the way a dogs body metabolizes protein, fat and carbohydrates, it’s essential to try and rectify this problem with the proper diet. Dr. Ogilvie DVM, conducted a study on a cancer starving diet at Colorado State University. This was done on dogs with lymphosarcoma. Dr. Ogilvie’s research showed that cancer cells had a preference for using carbohydrates as their source for energy. A diet which consisted of high quality protein and fats (particularly Omega 3 fatty acids found in fish like salmon), provided enough energy for the dogs and not the cancer cells. Essentially, the cancer cells were starved and the animals lived longer with their cancer. This doesn’t meant that carbohydrates should be totally avoided when practicing a cancer diet. You’ll need to select grains that are on the low glycemic index. Such as sweet potato, brown rice, quinoa and barley. A good selection of vegetables like asparagus, cauliflower, broccoli and carrots. As mentioned above, Omega 3 fatty acids are very important. Why? Scientific studies have shown that it may reduce the production of enzymes that promote cancer cell growth, thus increasing the death of cancer cells. In addition it suppresses the creation of new blood vessels that are necessary for new cancer cells to grow. Daily vitamins are very important and can help with the fight against pet cancer. They can enhance and strengthen the immune system. Before taking any sort of vitamins, it’s important to consult your veterinarian as taking antioxidants can sometimes interfere with chemotherapy treatment. It’s often recommended that you should stop giving your pet all vitamins one week before chemotherapy and then resume one week after treatment. Vitamin C- Sometimes referred to as the “non-toxic chemo.” It helps to reduce cellular DNA damage (which is the first steps of cancer) and it also helps in reducing inflammatory changes that can sometimes allow a malignant cell to grow into a tumor. Vitamin A- It often works as an antioxidant and protects cells from radical damage. Vitamin E- It is a fat soluble antioxidant and protects against cell damage which aids in preventing a variety of health issues such as cancer. Co-enzyme Q10- Some studies show that it may inhibit and slow tumor growth. Garlic- Certain studies have shown that a component in garlic called daillyl disulfide shows the ability to slow or stop the growth of tumors in skin, colon and lung cancer. It also is able to boost the immune system. Some may have been warned to avoid garlic completely for dogs, as it has been deemed poisonous by various organizations. The reason is because it contains thiosulphate, which is known to cause anemia, liver damage and sometimes death in canines. The good news is that garlic only contains very little of thiosulphate, and in order for your dog to suffer any negative effects it would have to consume very large quantities of it. Turmeric- It’s an antioxidant and has a plethora of benefits. Mainly due to it’s root containing curcumin, which can act as an immune system booster. Some studies show that it can assist in destroying cancer cells and keeping them from spreading. Astragalus- It’s especially helpful in boosting the resistance to diseases and upping energy levels. It can help with the side effects of chemotherapy and strengthen the immune system. Medicinal Mushrooms- Reishi, shiitake, cordyceps and maitake are the most commonly used medicinal mushrooms. They contain beta-glucans which stimulate the immune system to fight against cancer (by stopping the growth of tumors and sometimes killing them). Remember that Cancer is not a death sentence. 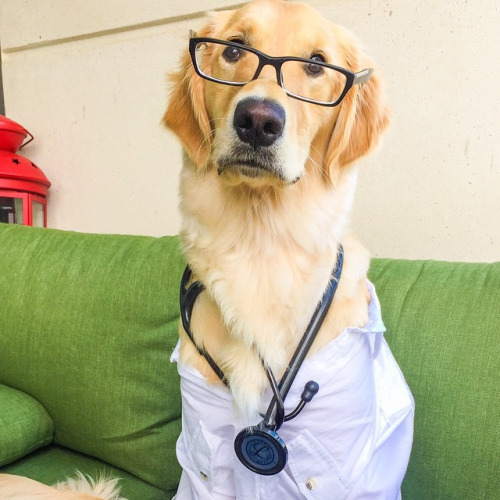 With the proper knowledge, good nutrition, supplements and the help of a qualified veterinarian, you can not only help your pet live beyond their prognosis but you might even be able to cure it altogether. Do you have a pet that has battled cancer? If so, what other natural treatments do you recommend? Comment below.